“I’ve spent my career in printing and supplies,” Greg said, when asked what inspired him to start GDM Graphics. “It’s where I began, and I’ve just never had a reason to leave.” Greg is a native Chicagoan, who experienced the street education of Cabrini Green from age 4 to 17. Yet, his large family, spiritual grounding, and responsibility for younger siblings kept him from wrong choices. At 14, Greg discovered his singing voice, fell in love with music and joined a musical group. He’s been singing ever since. After high school graduation, Greg entered Northern Illinois University, where he attended from 1972 to 1974. Shortly thereafter, Greg got a job as an order taker at Advance Process Supply, manufacturers of screen printing ink and equipment. He rose through the ranks quickly, from order taker to customer service, and eventually manager of the telemarketing department, and other departments. 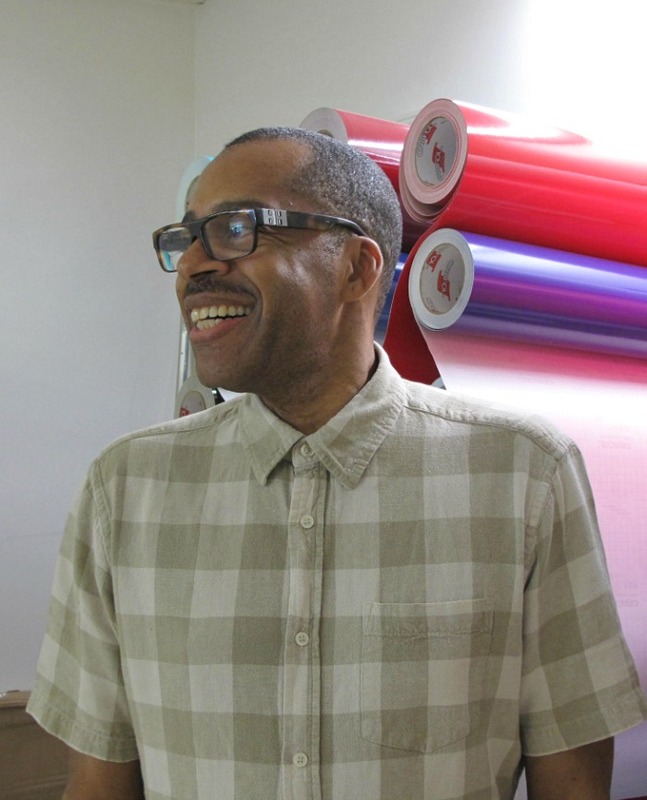 In 1990, he joined Cudner & O’Connor, manufacturers of industrial screen printing inks. He was recruited as a traveling salesman, and quickly developed close relationships with customers and colleagues. It wasn’t long before his leadership skills became evident to peers and superiors, and he began extending his expertise to key accounts. As a result, Greg joined Screenworks Supply Corporation in 1995 as Manager of Outside/Inside Sales. The combination of customer relationships and business management inspired him to launch his own, GDM Graphics in 2014. Instead of feeling pushed into existing formulas, he wanted to create a new one. Greg launched GDM Graphics to control the total customer experience, but he also had another mission. He enjoys helping other business owners avoid the pitfalls of early business development. “Some mistakes in business are unavoidable. You can’t see them coming. But, if I can offer a few words of advice, I’ll take the time.” Greg walks the talk of entrepreneurship and mentoring at GDM Graphics. GDM Graphics carries a full inventory of Triangle Inks, and a wide variety of products from leading brands. In addition to inks and textile products, you’ll find a full range of printing supplies and equipment, from aluminum frames, scoops and cleaning supplies to heat presses, and heavy special needs items. If it’s not in stock, it’s ordered for immediate delivery. Greg goes above and beyond to meet customers’ needs. If you’re a first time customer with questions, give Greg a call. Warm and down to earth, he’ll answer your questions, and get you what you need.